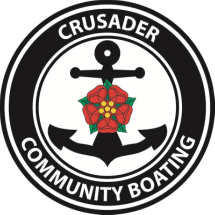 Crusader Community Boating provide boat trips of up to 5 hours duration on Northamptonshire’s beautiful waterways for groups of people of all ages who are disadvantaged by virtue of physical or mental disability or infirmity, including: wheelchair users and elderly people from care homes. ​For your lunch stop, you have the option of either bringing a picnic with you to eat on the boat or we can stop off at The Wharf, Bugbrooke - an attractive canal-side pub. There is no fixed charge for the above trips but groups are welcome to make a voluntary donation towards the cost of the trip.